Ron and Maggie Tear Photography: Deckchairs, backlit. 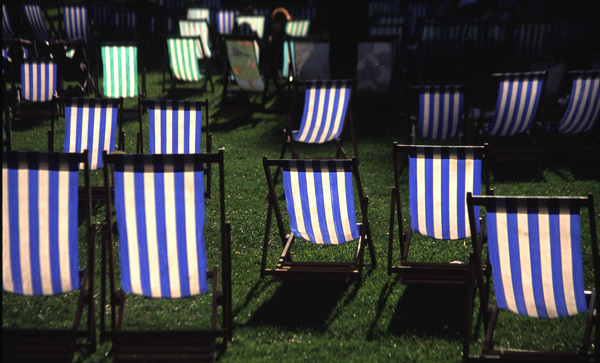 These deckchairs were out for the " Toure de France " recently held in London. Over 1 Million people came out to watch the time trials and caravan. This was taken late on with the setting sun illuminating the deckchairs. Creative light. St James Park, London, UK.